The rainbow will remind me of the covenant between God and all living creatures. 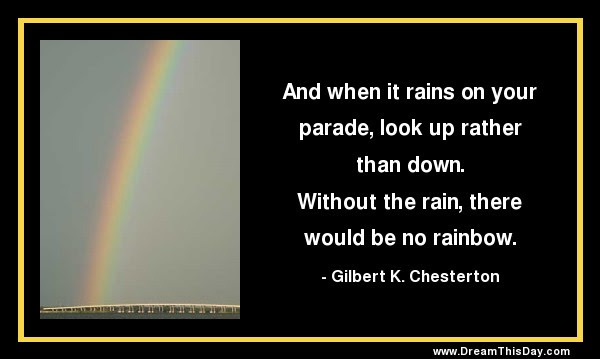 And when it rains on your parade, look up rather than down. Without the rain, there would be no rainbow. the best version of you possible.